I know we have enough talented artists in our pool of fans that some could be commissioned for the covers. I'd love to see this for all the other gestalts who never got a box... including Botcon Magnaboss and other oddities like Modulus. Yes. I realize this is a wild pipe dream. gothsaurus wrote: I know we have enough talented artists in our pool of fans that some could be commissioned for the covers. It is, but I'm 100% on board with it. I'd love to have Boxes for all of them. Which one was modulus again? ZeroWolf wrote: Which one was modulus again? For anyone who attended the Build-A-Figure workshop at Botcon 2016, getting a 2nd complete Ratchet Build-A-Figure would be quite an accomplishment, for any who didn't (99% of the fandom), getting this is going to be pretty much a life-long quest. Yeah I know there is one lucky SOB out there that has all the figs, but if I ever complete this in my lifetime, it will be quite the feat. You can still find extra Ratchet's on eBay... or substitute a Ratchet from the Unite Warriors set. And as for making a custom Medix, he IS entirely First Aid mold. Anyone really interested in putting together a Modulus character could throw one together for their Combiner Wars shelf for a grin without too much cost. I say this knowing custom class WAS all about making customs. That said, someone should sell me a Medix head. Shoot me a PM. I was looking again at my PotP Swoop, and I noticed a couple of holes in his waist area. Those hole don't look to have any function in any modes, but my first thought was that they were supposed to connect to a couple of pegs placed in the inner side of the lower legs to make the leg mode more stable. Then I noticed that the legs don't have any pegs that would do that. So has anyone idea the purpouse of those holes? Since the waist is different, it's not like they were designed for Cutthroat. MadProject wrote: I was looking again at my PotP Swoop, and I noticed a couple of holes in his waist area. Those are for figure stands most likely, there are special ones for jets and other types of flying vehicles and animals. Last edited by JelZe GoldRabbit on Tue May 08, 2018 5:12 pm, edited 1 time in total. I've found two uses for them so far, but it's hard to tell if either of them is the "intended" use. 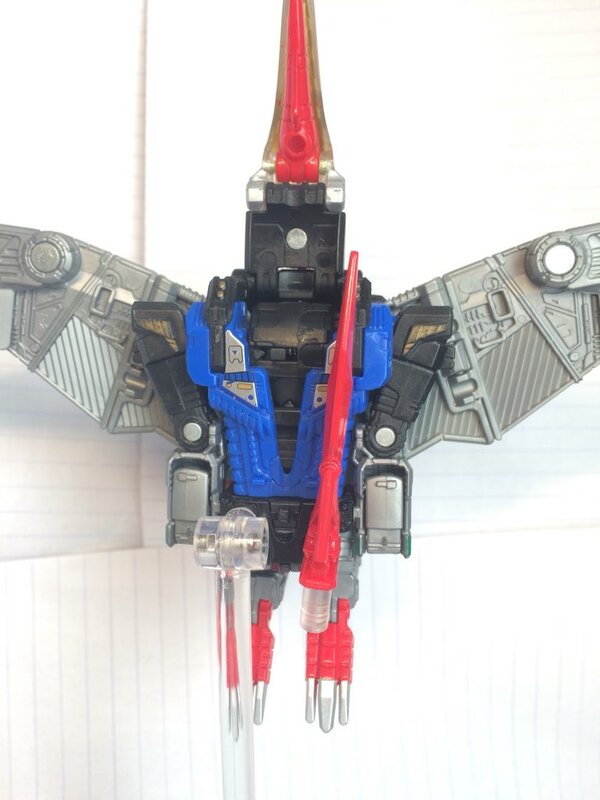 One is to plug his sword in for when he's in alt mode - instead of putting the 3mm peg under his beak, put it there instead and he's got a totally impractical blade underneath him! The other is actually as a spot to plug figure stands in - the usual hexagonal hole is hidden in alt-mode, but things like figma stands, etc. 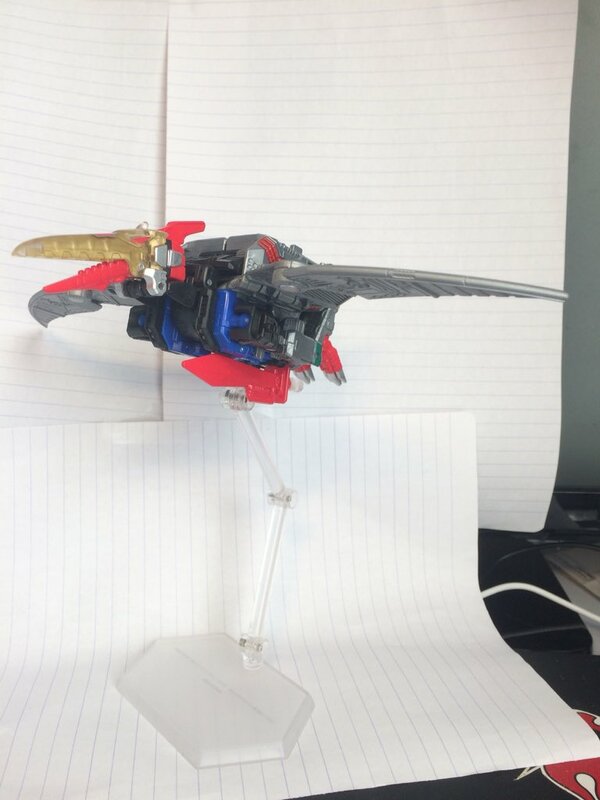 fit perfectly into those holes as well, so you can still display him actually in flight if you have a stand for it. Thanks for the info, seems like a headache to go through and collect, giving two components are from botcon and one is a subscription figure which is defunct now. Well I have the SG SS, and Rook, and getting the single release Scattershot is still easy/inexpensive. It's just those last two. Yes there are a few BC 2016 Ratchet's on eBay right now, but the cheapest goes for $250, then there's the issues of getting the sticker sheets (which are actually there right now also),and then painting, which admittedly - I'm not good with paint, which is why I don't get into kitbashing or figure customization . If I could just purchase another CW First Aid and cover it all with the Medix Sticker sheet, I'd be content, but I don't think that would work. Sticker sheets for normal Ratchet are still floating around. I think many of the other sticker sets just provide simple color areas that could be masked and airbrushed. Might even look better than stickers, actually. I really should buy a couple extra to paint and finish out. Maybe some fan would want to buy a finished out custom instead of a solid white one. Hmmm. gothsaurus wrote: Sticker sheets for normal Ratchet are still floating around. I think many of the other sticker sets just provide simple color areas that could be masked and airbrushed. Might even look better than stickers, actually. I'd definitely prefer to purchase a finished custom, but I've never seen one for sale. I wonder if Hasbro will ever just put out a single release Ratchet. At one time I wouldn't think so, but now that Blast Off is making an appearance, I wouldn't be that surprised. I'm sure if I plunked down $250 for an Ebay Ratchet, that very night, news would appear Hasbro is releasing him. Ha ha ha ha! RiddlerJ, you are right on the money. That's happened too many times to me, too. I agree, Ratchet is probably on Hasbro's radar to get out to the USA market when they find the right store/event. Knowing they are releasing a rescue vehicle (Inferno) soon... and that they seemingly are working do address the "missing" G2 Defensor with Wreck-Gar as a fill in. (Given, this is fan speculation, but seems likely.) I could see them doing a more G2 deco and putting Ratchet out for USA as a fill in for First Aid. The BotCon release was Hasbro's attempt to Ratchet out in the U.S. Blast Off's a brand new mold altogether that Hasbro never touched before now, while Ratchet was all Hasbro's doing in the first place. They just gave it to Fun Pub to release at BotCon since they weren't gonna put it out themselves. Same goes for CW Reflector, CW Counterpunch, and the CW Nemesis Prime head that got used for Toxitron. Sounds like you have the inside scoop on Hasbro's and Botcon's actual intentions... AND that they have no current interest in putting it out to the actual "masses". I think this would be a real shame, since Ratchet is a MUCH more popular and integral character than Toxitron or the others... and considering the very small numbers in the custom class. I would hardly consider that successfully "getting the toy out to the USA market." I hope they reconsider and find a way to (eventually) get that great sculpt out to more people than the handful in the class. Fun Pub originally had different ideas in mind for what was gonna be the custom class figure and the troop builder set for BotCon 2016, until Hasbro gave them the Ratchet tooling and told them to release it as Ratchet. Their original plans were for the troop builder to be the SG Autotroopers seen in the "Another Light" comic storyline, which would have been made from CW Offroad and likely would have used the still-unused Hoist headsculpt that was pretooled for the CW Trailbreaker version of the mold, while the custom class figure was gonna be the Autotroopers' leader SG Checkpoint, also made from the Offroad mold but using the Trailbreaker head. This is why custom class Ratchet mold ended up with a black combiner peg, as both Checkpoint and the Autotroopers had mostly white bodies with black combiner pegs. Hasbro likewise gave Fun Pub the toolings for Reflector, Counterpunch, and Nemesis Prime and told Fun Pub to use them as well since Hasbro themselves weren't going to do so, hence the troop builder set for BotCon 2016 became the Reflector 3-pack, while the other two were gonna get put in the final subscription service assortment. But then, e-HOBBY did their UW Grand Scourge release, so Fun Pub had to change their plans from Hasbro's intention of a CW Nemesis Prime into a CW Toxitron instead since Nemesis would have been too redundantly similar to Grand Scourge. Fortunately, it seems Hasbro saw fit to take the CW Nemesis Prime head's digital mock-up and reapplied it to make the new but similar-looking headsculpt for POTP Nemesis Prime. Thanks for the behind the scenes info, Sabrblade. I love hearing about this stuff. I really wish they'd have gotten that Hoist out, too... and the cool set of Checkpoint and Autotroopers. Don't know why, but I always have REALLY loved the character and look of Checkpoint. I've done customs of him, actually. 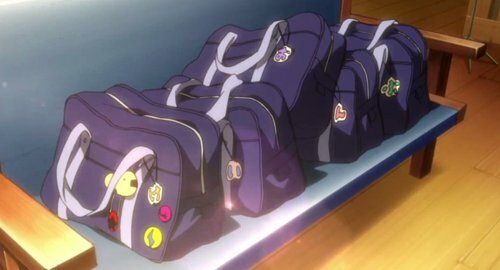 It makes me really grateful for the successful and beautiful sets and figures we HAVE gotten, and where the club and convention filled in gaps in our collections and in the lore. I do really miss those guys — and Botcon. Also makes me really regret that our fandom is so splintered (BW, Bayverse, etc.) — and so very contrary and hard to please. I can't imagine it being an easy job. gothsaurus wrote: It makes me really grateful for the successful and beautiful sets and figures we HAVE gotten, and where the club and convention filled in gaps in our collections and in the lore. 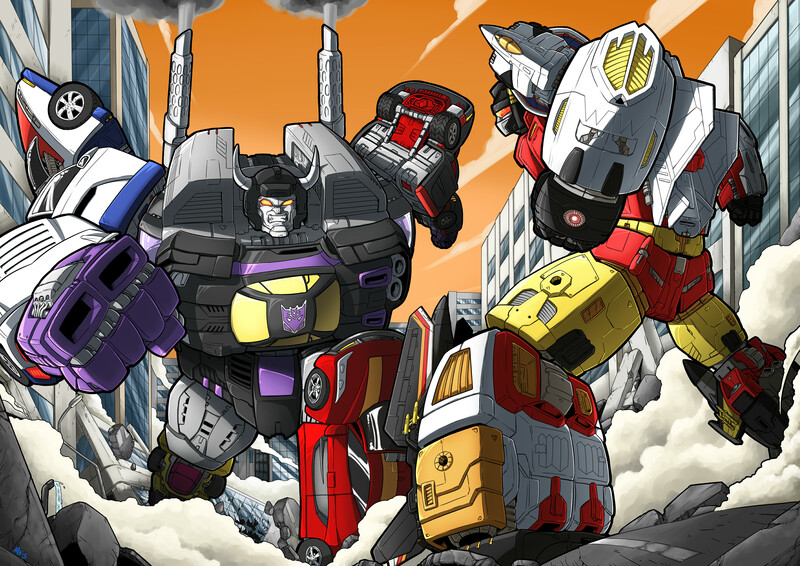 I do really miss those guys — and Botcon. You talking about Pete's RoboCon? Because I'm already registered and locked in for all the classes! Hope to see you there! !